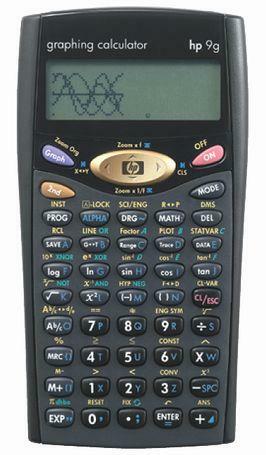 The HP 9g is an simple and easy-to-use graphic and scientific calculator . Take it with you, when a larger PC is too much to carry. Or enjoy its easy on-off, quick calculation of vexing problems. Solve your favorite math and science problems, at school, at the lab, or on the road. It has memory functions for storing and retrieving data and 2 clear memory options. HP 9g is a fully programmable calculator. Suitable for math, pre-algebra, algebra, geometry, trigonometry, statistics, physical sciences, biology, chemistry and physics. Tagged By: College Board AP, ACT Assessment - An ACT Program for Educational Planning. Does anyone here know where I can get my HP 9g calculator LCD screen replaced? Some rows of pixels have become dead.